Face Painting at the Newly Remodeled South Elgin McDonald’s on McLean Blvd. Beautiful Faces at the Newly Re-Modeled South Elgin McDonald’s. 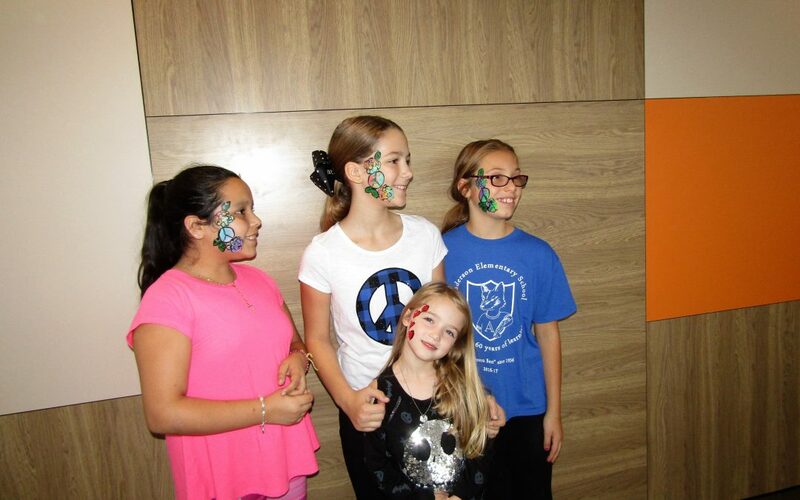 On Saturday, October 14th at the South Elgin McDonald’s on McLean Blvd., kids were treated to face painting. Kids were so excited to choose from designs by Gloria with RC Juggles. This event was all part of the South Elgin McDonald’s Grand Re-Opening festivities. Come in and see the new restaurant and enter the grand opening raffles. When you stop in look at all the special events that the new McDonald’s has planned for the community to enjoy through October 28th, be sure to stop by Sunday October 22nd, and meet Grimace at 10:00 AM, also, Gus T. Bull of the Windy City Bulls will make a special appearance Friday, October 27th at 5:30 PM, and Last but most certainly not least Don’t miss the Ronald McDonald Magic Show on Saturday, October 28th at 1:00 PM. The Owner of the South Elgin McDonald’s would like to thank the community for all their support during these Grand Re-Opening Events. For Future events contact the South Elgin McDonald’s contact the Community Relations Director Julie Travers at julie.travers@comcast.net.